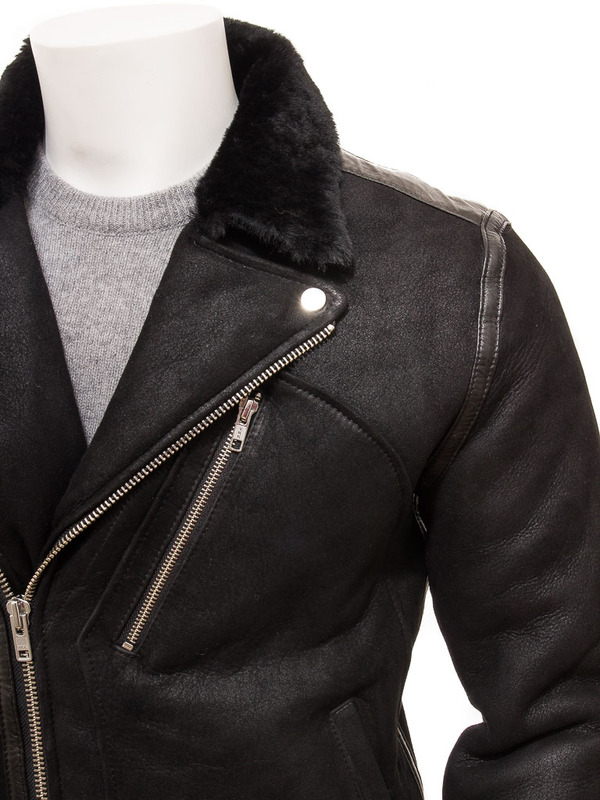 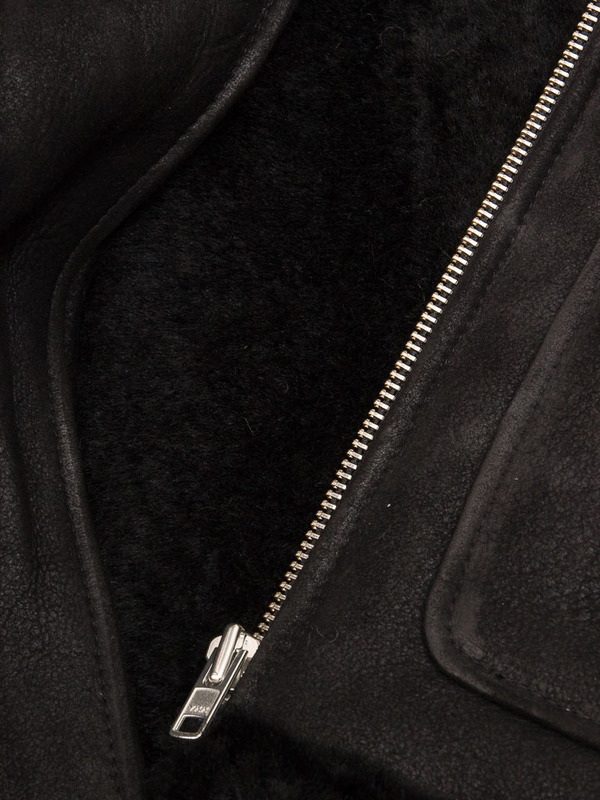 The classic biker jacket style re-imagined in ultra-luxurious black shearling sheepskin. 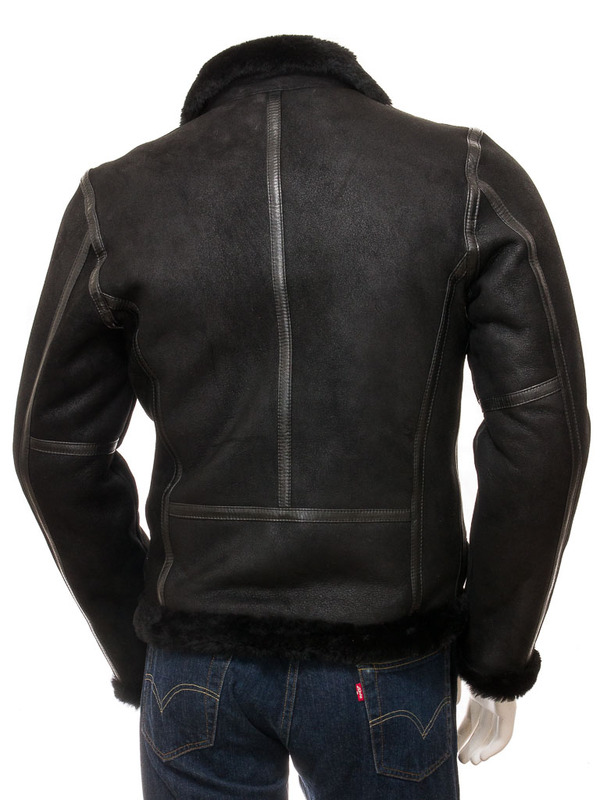 Like all genuine sheepskin jackets, the interior is formed from the soft woollen fleece side of the skin. 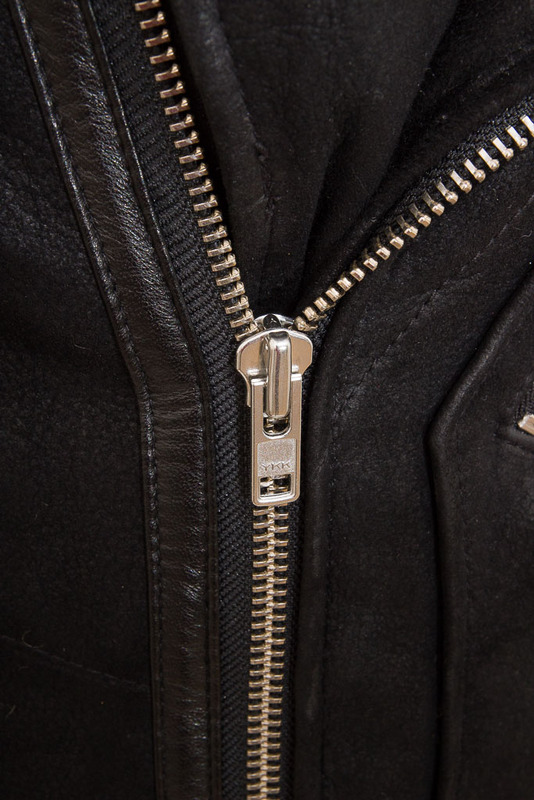 The underside therefore becomes the tough, weatherproof exterior of the jacket. 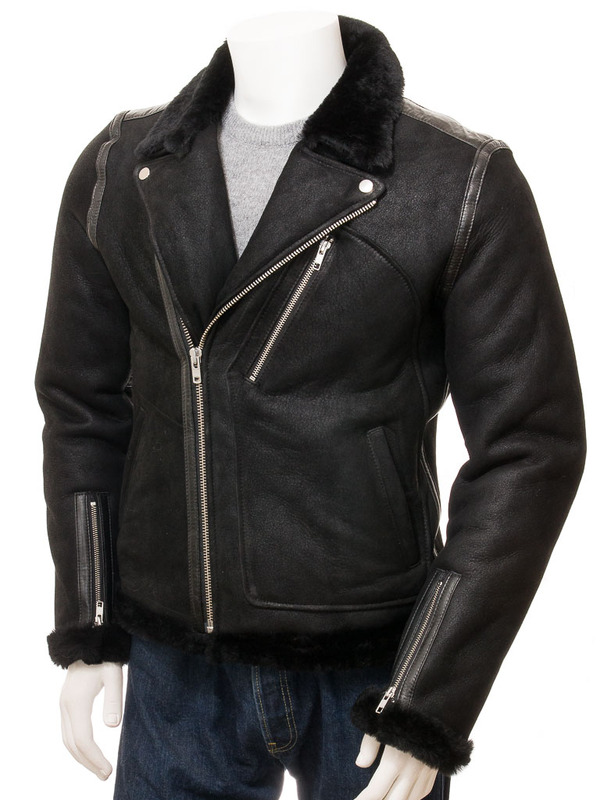 Incredibly warm and very comfortable.